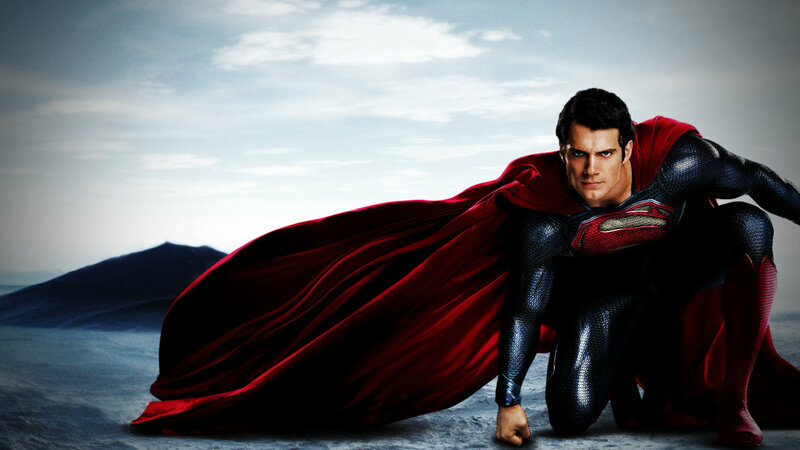 The Countdown continues with 42 days left until Man of Steel is released to theaters in the United States. That’s only six weeks, so the news is coming out much faster than it has before. However, for those living outside the U.S., the Man of Steel website has all the international dates handily available. 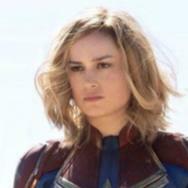 Just a month ago, many fans were growing concerned about the lack of marketing for the film, even though it was still 10 weeks from release. 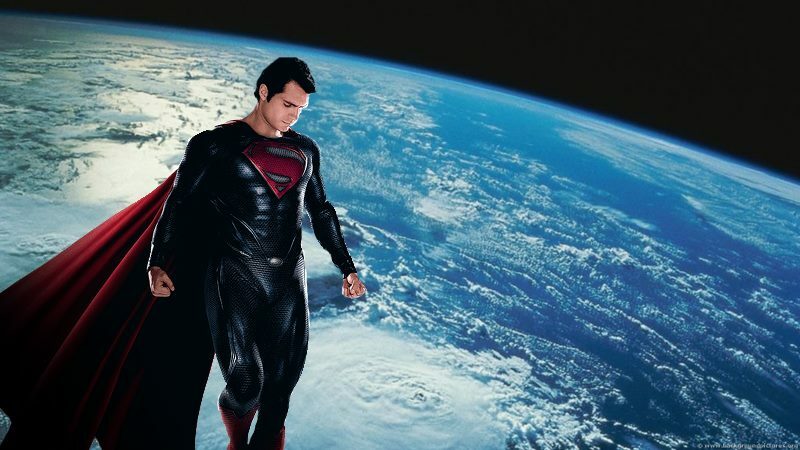 According to a Fandango poll, Man of Steel took sixth place for “Most Anticipated Summer 2013 films,” after Iron Man 3, Star Trek Into Darkness, The Great Gatsby, Fast & Furious 6 and The Hangover Part III. But in Hollywood, things can change faster than Clark Kent can change to Superman. 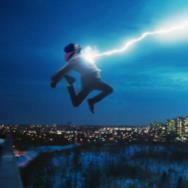 A new poll at Yahoo.com puts Superman in the top spot this week. Based solely on YouTube views, Man of Steel’s newest trailer has 19.5 million views in just two weeks, while Iron Man 3’s final trailer has 16.8 million after eight weeks. YouTube views are hardly an accurate indicator for which will win at the box office, but it is incredibly clear that Big Blue is going to give Shellhead a run for his money. 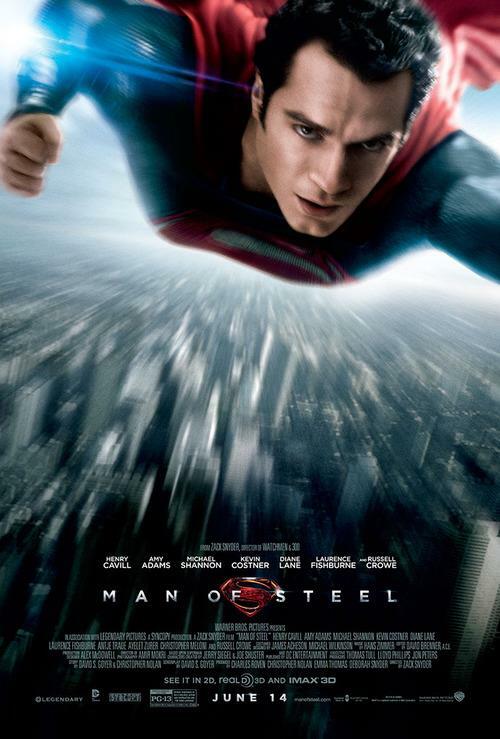 Check out a new just-released poster for Man of Steel below. A new TV commercial with about 50% of previously unseen footage hit the air last night (May 1) during an episode of Modern Family. Take a look. Man of Steel’s soundtrack will be available June 11, scored by Hanz Zimmer. 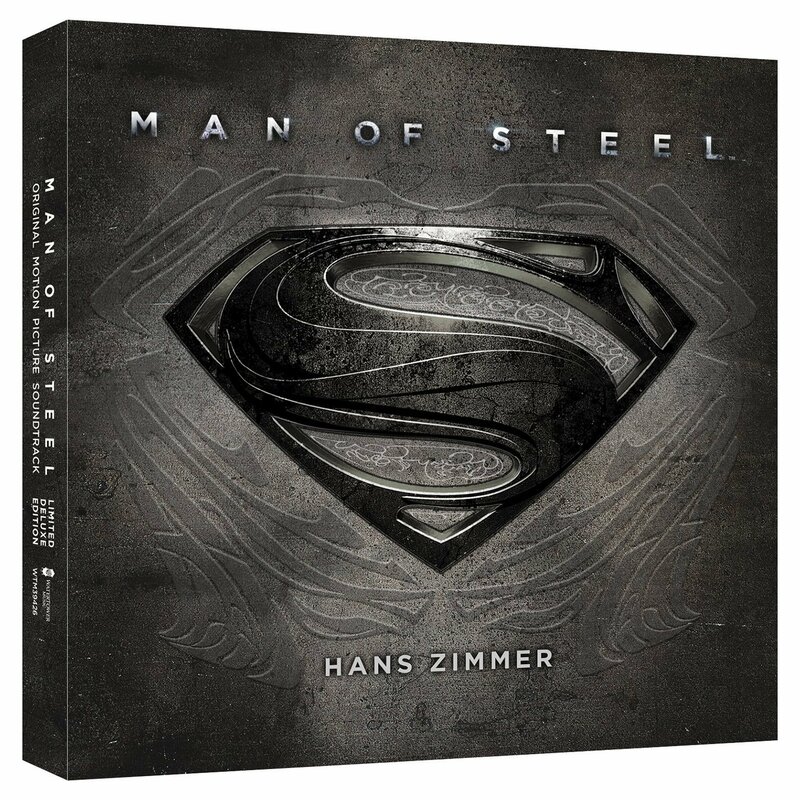 The standard edition will include 18 tracks, including “Man of Steel (Hans’ Original Sketchbook)” which will be 28 minutes long and performed entirely by Zimmer. It laid the groundwork for the rest of the film’s music. The deluxe edition will add six tracks, exclusive videos of behind-the-scenes material, and a key to download all 24 tracks in DTS Headphone: X, which works with high quality headsets to create a surround sound effect. The track listing gives us some clues to the plot, and perhaps the order of some of the events in the trailers. However soundtrack scores often alter the order of the music to create a more cohesive album, so we won’t know for sure until the film comes out. + Are You Listening, Clark? The deluxe edition is $25, but can be preordered now for $18. The standard edition goes for $16, but can be preordered for $12. For now, here’s a taste of the music. This track, titled “An Ideal of Hope,” appears to be Superman’s main theme and was featured in the latest trailer. For more samples of Hans Zimmer’s score, listen to these 30 second tidbits. Several Zack Snyder interviews have surfaced in magazines over the past two weeks. 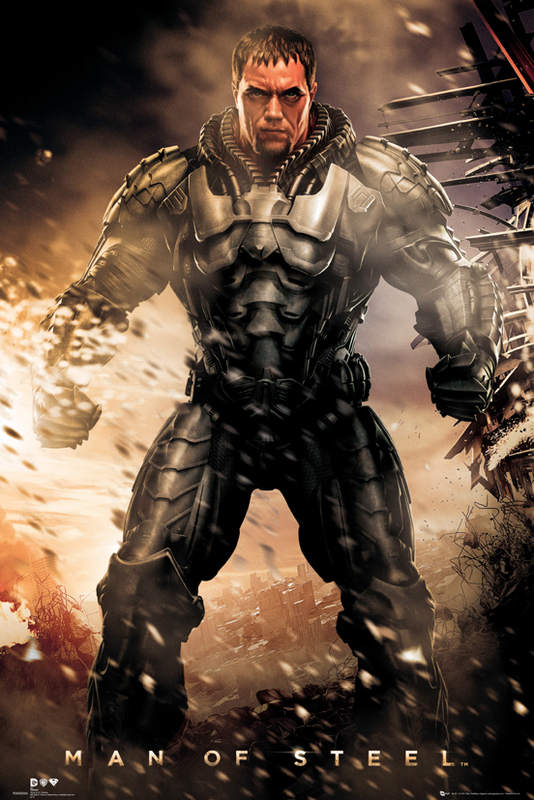 He spoke to Empire Magazine about the battle that will take place in Smallville. "It's a Western face-off," says Snyder. "[Zod and Faora and the rest of the Kryptonian invasion] care very little for Smallville's iconographic status. We're being really hard on the town: this battle needed to be dangerous." For SFX Magazine, Snyder teased about the power Superman will display in the film. "It's a more violent experience. It's raw," Snyder teases. "It takes effort to do it, and that's what we were really going for. It's almost like there's this kind of Right Stuff quality to it. "He's constantly booming around, accelerating. You think he's going as fast as he can and then it's like 'Yeeaahh!' He's always got an extra gear he can use." Most importantly, Snyder spoke to the L.A. Times about his overall approach to Superman and how Man of Steel will be different from what some might expect of the character. "He's not super-perfect, and he might not always make the right decision, especially as he's growing up and trying to find himself," said producer (and Snyder's wife) Debbie Snyder. "I think he's struggling to find out what is the right thing to do." "We tried not to make him so predictably morally black and white," Zack Snyder added. "We gave him some shades of gray. His inherent goodness is still there, and if you really think about it, you still want him to be right and to make the right choices and to do the right thing. I think that we all hope for that in ourselves, and I think that's what always has made him a very interesting character. He's a Christlike figure. There's no two ways about it." Although they mistakenly referred to Superman as a “Marvel” character, Contact Music interviewed Henry Cavill about how he approached playing Superman. ''My goodness, a lot of preparation went into this role! I chose which material I wanted to draw from and that was basically the source material, the comic books. ''I didn't want to draw from previous TV shows or movies because those are other filmmaker's interpretations of this character. While Henry, 29, felt a weight on his shoulders with the greatly anticipated role, instead of crumbling under the pressure, he focused on the time and effort he put into the part - which he knows will pay off. He added: ''There's the opportunity to feel a lot of pressure, but I try and avoid that because the one lesson I've learned is I've done all the work now. For the June issue of GQ Cavill discussed money matters, in that the money he makes from his films absolutely matter to him. As we have come to expect, his explanation is well-reasoned and not as callous as the title may appear. Admitting he has the bank balance on the brain, the 29-year-old Englishman said: "Yeah! What, are you crazy? God, all those people who say, 'Oh no, the money doesn’t matter.’ Yeah, right. They’re either mad, or they’re lying. I mean, come on. 'Oh no, don’t pay me anything, it’s for the arts.' I’m sorry, no. Pay me the money. I’m not doing it for charity. I’m not a nonprofit organisation. Plus it’s expensive flying back and forward to L.A. You need a job that pays money. I want to be one of those names that producers want to hire because you put bums on seats," he said. Michael Shannon was interviewed by E! Online and had this to say about Henry Cavill’s performance. "He's perfect, he's flawless, he's everything you could possibly want. I saw the movie the other day for the first time, and I just love the original as much as anybody but I can't think of another actor in the business today that could come close to what he did. He was just sensational." For another interview with Collider.com, he praised the script. "I thought the whole script was just very sophisticated for the genre that it is. It was as sophisticated as scripts for other movies I've done that have been considered more highfalutin, or whatever. It has a lot of deep themes in it, and the way they deal with Kal-El's journey is really fascinating." And in the same interview, he spoke about wearing the motion-capture suit and never actually putting on the bulky armor costume. "I never wore the armor. That is a CG outfit, I think I can say that without getting assassinated, yes. 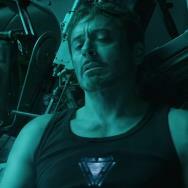 Honestly, the armor would be very heavy - like in Iron Man, Downey Jr. doesn't ever wear armor. Oh, but there is a guy who wears it. I know the guy, the guy who was the Iron Man double, who had to wear that freakin suit was on Man of Steel and he said it was a freakin nightmare, it's so freakin heavy. They wanted me to have freedom of movement and if I would have actually been wearing a giant metal suit I would have been walking around like this, you know? So every time you see me in that metal suit just close your eyes and imagine me in an Arlequino outfit; green, red, blue, with the little tight around the midsection. Yeah, we all looked like bunch of dorks." Iamrogue.com also interviewed Shannon where he explained what makes his version of General Zod different from previous ones, especially the iconic take Terrence Stamp had in Superman and Superman II. Shannon took that idea a step further for an interview with Empire Online. "Nothing we do in this film will make people forget Terence Stamp," Shannon explains in this month's Man of Steel issue of Empire. "but that wasn't really what we were going for. As much as I love what Terence Stamp did in that movie, it was kind of opaque. "It was impossible to have any empathy with him," he adds. "It was pure malice. We wanted to break down that wall a little bit, so the audience might think, 'Yeah, I know what he's going through.' It's not better or worse, it's just different." Screenwriter David S. Goyer answered a number of fan questions on Reddit recently. Many were interested in other projects, but here are a few about Man of Steel. This Saturday is Free Comic Book Day. It happens every year on the first Saturday in May. 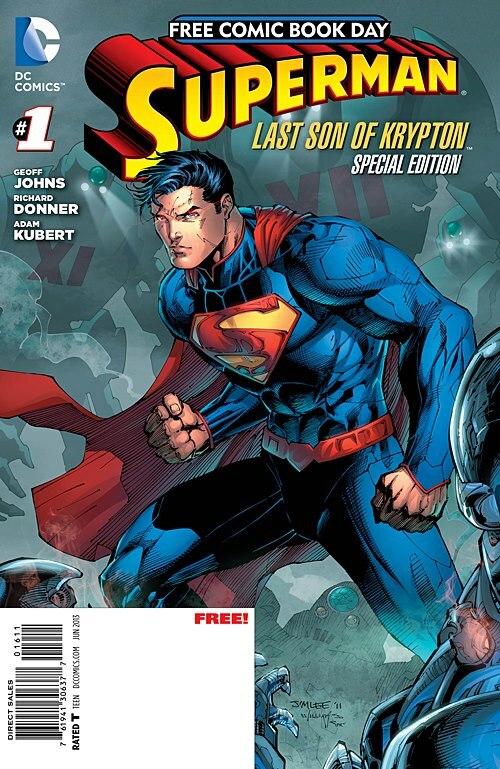 One of the free comic books this year is a new Superman story written by Geoff Johns and Superman (1978) director Richard Donner. Check out the FCBD Website and to find your local comic book store. All you have to do is show up, and you get to pick a free comic book. Go in early to get the best selection. Some stores even have cosplayers dressed up as their favorite heroes, ready to greet you. How do you like the film's marketing so far? Discuss in the comments below.